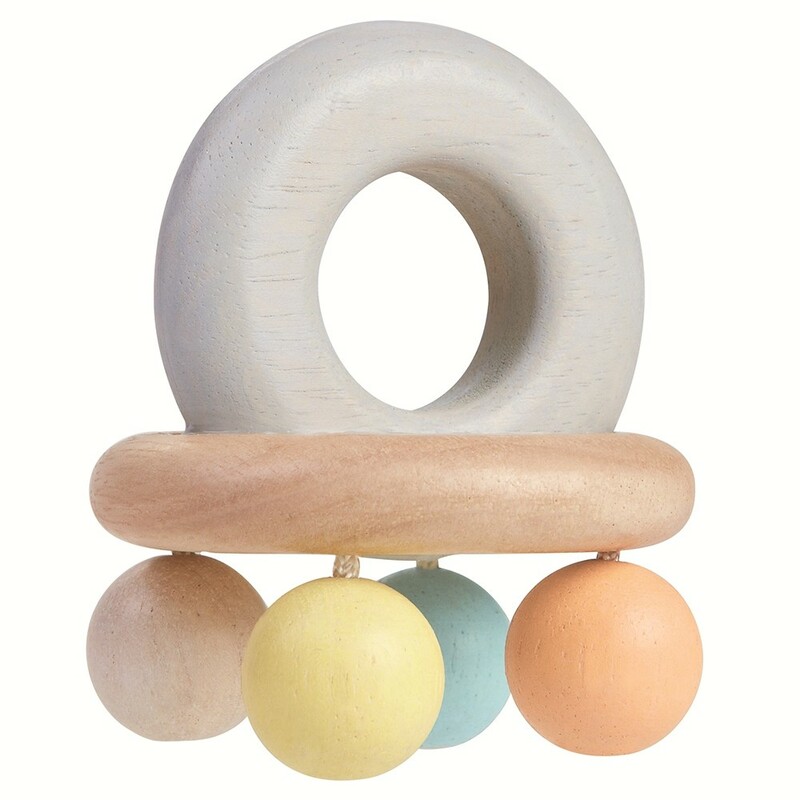 This pastel coloured and natural wood rattle is in the shape of a bell with a ring for little fingers to grasp and four little balls hanging from it. When babies grasp and shake the ring, the balls click together to make a sound that will captivate little ones. 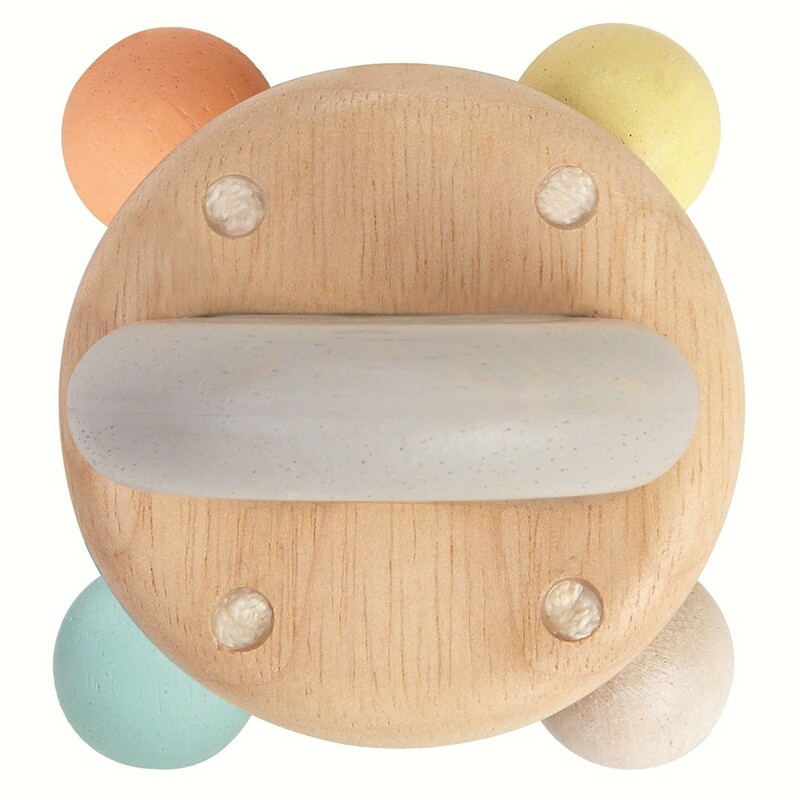 Safe for inquisitive teething babies, this baby rattle makes a great sensory toy that will delight tiny tots. 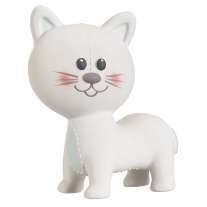 We love the new pastel colours available on this classic Plan Toys rattle. 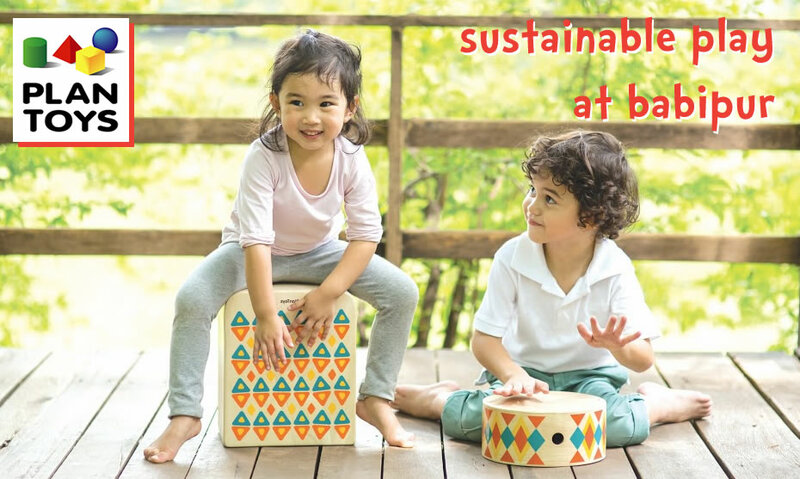 Ethically made from solid, sustainable rubberwood and painted with eco colours in pastel shades, this wooden rattle is a perfect present for a new baby or for taking to a baby shower. Measures 6.1cm x 6.1cm x 7.7cm. Schematic play: trajectory. Ideal for children interested in waving their arms.